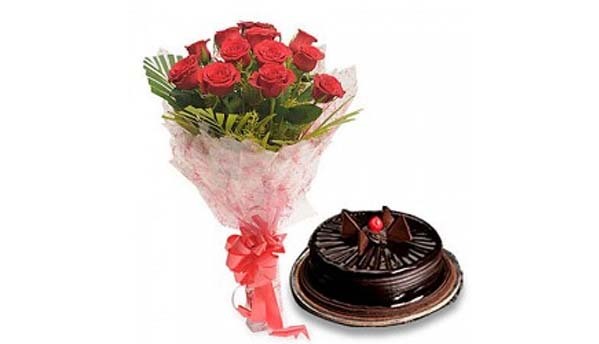 Mesmerize your loved ones with this unique surprise!! Long drives are perfect for everyone! Souls are struck by wanderlust, the journey matters as much as destination so how about making this journey more special for your partner. 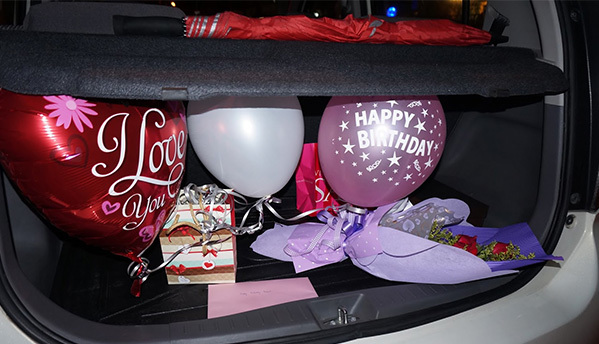 We would turn your car trunk into a space full of surprises while going on a long drive with your friends, family or someone special. 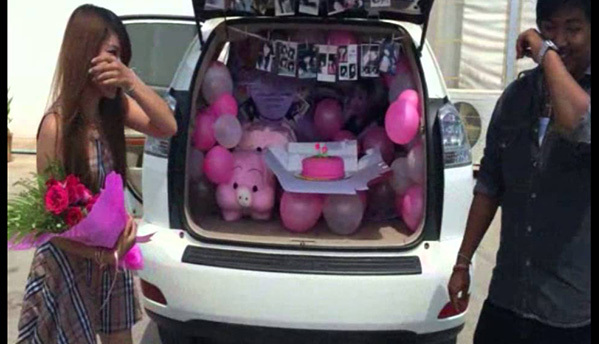 Imagine when you suddenly stop the car, open the trunk and your loved one’s face will light up with a big smile! · 3 satin scrolls with customized message. · Get your Car’s trunk setup. · Your 10 Photographs, Flowers, Balloons, message scrolls and cards will be used for decoration. · Post order confirmation, Personalized message and any other specifications will be discussed with you. · Pictures are only for Reference. · You can add Rose petals, Teddy Bear, Balloons and creative gifts with this experience. · There will be extra charges for any add-on's. All the ingredients for that perfect holiday! Take a ride in an authentic Thai long tail boat across the waters of Dubai. Jump with joy at this trampoline park!